1. Perfect for Stocking Stuffers, Secret Santa Gifts, Christmas Party Favors & More! 2. 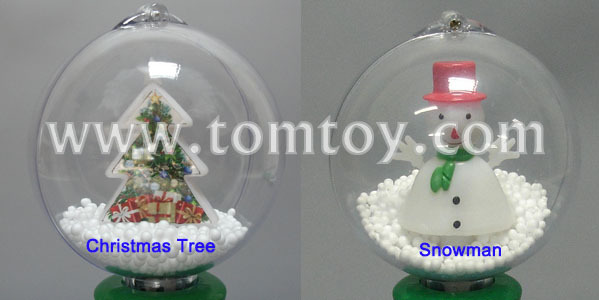 One push of the on/off button on the green handle sends the sphere of snowman into a swirling snowstorm amidst red, blue & green glowing lights. 3. Play "Jingle Bells" Song. 4. Operated by (3) replaceable AAA batteries, installed & ready for use. 5. Kids and adults alike will be endlessly entertained by the brilliant light & snow show inside this magical toy wand.